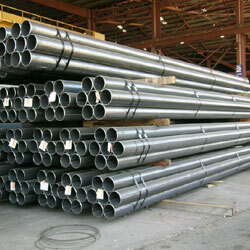 » What is ASTM A671 Gr CC70 Carbon Steel EFW Pipe? 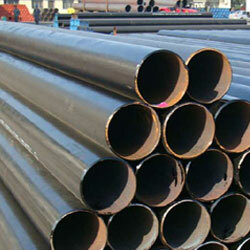 Aesteiron Steels is a preferred manufacturer, exporter & Suppliers of ASTM A671 Gr CC70 Carbon Steel EFW Pipe. 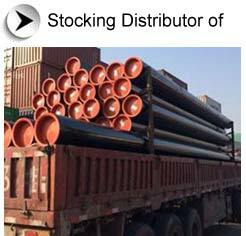 What is ASTM A671 Gr CC70 Carbon Steel EFW Pipe? ASTM A671 CC70 Pipe specification covers electric-fusion-welded steel pipe with filler metal added, fabricated from pressure vessel quality plate of several analyses and strength levels and suitable for high-pressure service at atmospheric and lower temperatures. Heat treatment may or may not be required to attain the desired properties or to comply with applicable code requirements. 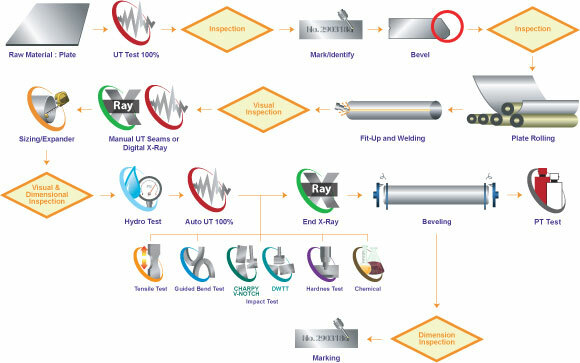 Supplementary requirements are provided for use when additional testing or examination is desired.